Those of you who have attended the class reunions will recall how beautifully these two glide across the floor - fancy footwork, indeed! 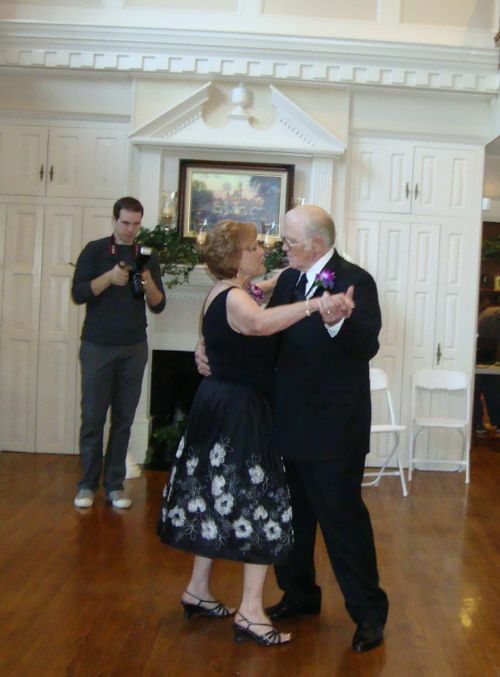 Glenda commented, "The whole family loves to dance. All of the daughters and grandchildren were mostly out on the dance floor. Dance, dance, dance."